This includes examining each tooth and the surrounding structures. Oral cancer screening, periodontal or gum exam, occlusal/ bite evaluation, and a tooth by tooth cavity check. Radiation from digital X-rays can be as little as 10 percent of what patients would be exposed to with traditional film-based radiography. We save these x-rays electronically. Digital x-rays provide a lot of detail and allow us to find cavities that may not be visible by looking in the mouth, check the health of the tooth root and bone surrounding the tooth, check the status of developing teeth and monitor the general health of your teeth and jawbone. When checking the health of your gums we measure the depth of gum tissue around each tooth and any bleeding associated with them. This portion of your exam is used to determine the health of your gums and the bone that supports your teeth. Our findings from the periodontal/gum measurements along with the findings on your digital x-rays will help us to diagnosis the condition of your gums and prescribe the type of dental cleaning that is recommended for you. Oral cancer can appear with no noticeable symptoms, which makes it particularly deadly, since it can then grow and produce more tumors. Catching it early during an exam is the best way to prevent its effects. We complete a visual inspection with each comprehensive exam. Any abnormalities or lesions that appear to be outside of the scope of normal structures are noted and referred to an oral surgeon for further evaluation and possible biopsy or removal. With the information you share with us about your wants, along with findings from our exam we develop a step by step treatment plan to maintain or improve and restore your oral health. If you would like to have a comprehensive oral exam completed, please contact our office at 404-549-5570 (West Midtown) or 404-793-2570 (South West Atlanta). Researchers believe that systemic inflammation is at the foundation of most diseases. Health experts state that the key to maintaining wellness and preventing dis-ease is to keep our cells well nourished and supplied with anti-oxidants which neutralize free radicals. It is also important to manage the body’s immune response, addressing an out-of-control inflammatory condition before it takes its toll. The body’s chronic internal inflammatory response is easily identifiable by examining the gums. Swollen, bleeding gums are an indication that the body’s immune response is engaged and on the attack. Temporary bleeding or swelling may occur when we have a cold, or are under stress. When bacteria in the mouth become imbalanced, gum/periodontal cells communicate to the need for an immune system attack. If the bacteria are not brought into balance, the periodontal tissue can become the site of chronic inflammation. The excessive bacteria from the mouth can travel through the bloodstream to predisposed systems in the body leading to chronic disease in other organ systems. In the dental profession, this connection is often referred to as the oral-systemic link. Gingivitis- early stage of inflamed gums. Periodontal disease- later stages of inflammation that affects the bone that supports the teeth. Left untreated, the immune system continues to destroy the periodontal tissue and bones that hold our teeth in place. It is estimated that as much as 80% of the population may suffer from periodontal disease. Professional teeth cleanings are one of the most important steps you can take to preserve total body wellness. We recommend professional cleanings because even the best at-home care is not fully capable of removing all of the bacteria buildup in your mouth. One size does not fit all when it comes to professional cleanings. Professional cleanings may be needed more often than the one-size-fits-all six-month cleaning schedule that most people are familiar with. Using high tech cleansing technology, we assess the severity of bacterial imbalance, calm the inflammatory response, and detoxify the periodontal tissue. At MouthPeace we aim to help you stay on top of your general health by focusing on oral health. Make sure your hygienist does a complete perio- probing at least once per year and spot probing every appointment, know your results and use them to improve your home care. There are many ways that bacteria can form in your mouth. Plaque is a film that covers the teeth and gum, and it produces bacteria that creates a dangerous acid that is strong enough to harm your teeth and gums as it forms and builds. Calculus, or tartar, is a hard substance that forms when the bacteria calcifies, and is especially harmful because it attracts more and more bacteria. The well-known gum disease, gingivitis, is also caused by bacteria, makes the gums swell and redden, and often leads to full-on periodontal disease. Periodontal disease attacks the bone that surrounds your teeth in the jaw and can lead to your teeth becoming loose and falling out. Fortunately, periodontal disease can be managed, and even more so, prevented with check-ups and healthy lifestyle choices, such as a diet rich with fruits and vegetables and limited in processed foods and sugar. Brushing your teeth twice a day is crucial, flossing regularly, and changing your toothbrush every few months. Mouthwash that does not contain alcohol, which actually attracts bacteria, and a tongue scraper are useful as well. 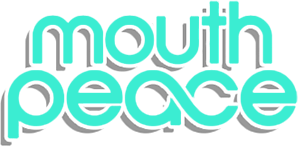 At MouthPeace Dental we honor your desires and lifestyle choices. We discuss the products that we use and we give you options that align with your beliefs. We love to share our knowledge of dental hygiene as it relates to general health and we will take pride in helping you to maintain or restore your oral health. We would love to do a professional cleaning for you or a loved one. To schedule a cleaning appointment, give us a call at 404-549-5570 (West Midtown location) or 404- 793-2570 (South West Atlanta). A beautiful smile makes you look younger, no matter what your age. We offer mercury-free fillings that will match the color of your existing teeth. These tooth colored fillings are also used to correct chips and flaws with cosmetic bonding. We are skilled at beautifying your smile with hand-crafted resin composite bondings. There are many techniques and materials for making crowns and bridges. Their beauty and longevity depend upon choosing the best techniques and using the finest craftsmanship. If your teeth have been damaged or lost due to decay, our dentist may suggest a procedure called crown or a bridge restoration. Crowns are used to help restore individual teeth, whereas a bridge is placed when teeth are missing or multiple teeth need strengthening and restoration. Since both crowns and bridges are cemented to your natural teeth, they are categorized under “fixed dentistry” procedures. We partner with expert lab technicians and master ceramists to determine the materials and products that will best suit your needs for health, function and natural-looking results. Comfort bite splints are appliances designed to alleviate the pain and damage caused by severe grinding or clenching of the teeth. The comfort bite splint is a combination hard exterior and soft interior appliance. The soft internal surface rests comfortably against the teeth and gums, while the hard biting surface provides durability against grinding forces. They are made of copolyester and polyurethane discs, which are BPA-free and non-allergenic, making them ideal for patients who are allergic to acrylics or metals. Prescription night guards are a proactive step in protecting your teeth by reducing stresses caused by grinding and7 clenching.